Resilience is a hot topic these days. For me though, it’s one of the reasons I even became a therapist. I learned early on in life about my own resiliency through some less than pleasant circumstances in my life. That being said, I was in close contact with others who were not as resilient. I’ve learned first-hand how important it is to be able to pull from our inner resiliency. 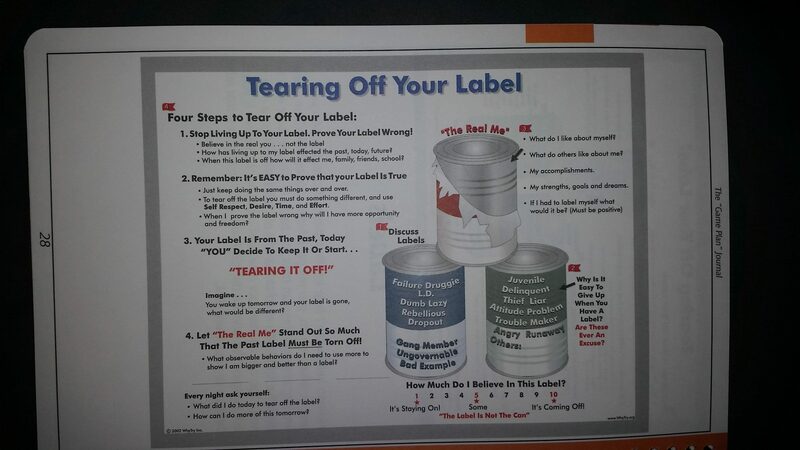 A lot of my work now is focused on teaching people how to identify, build and utilize their own inner resiliencies. 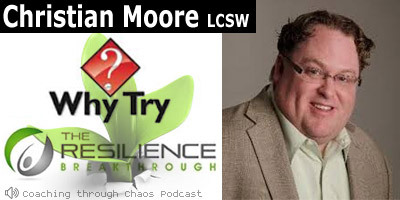 My guest today is a very like-minded individual who has made his life work helping EVERYONE build their resiliencies. I’m talking today with Christian Moore. Christian is a Licensed Clinical Social Worker who has done tremendous things in the field of resiliency work. He wrote the book, “The Resilience Breakthrough: 27 Tools for Turning Adversity into Action” for adults. To focus on helping kids build resiliency, he founded the Why Try program which is now implemented in over 22,000 (that’s 22 THOUSAND!) schools in the United States. Christian is a busy man- he has been known to book speaking engagements over 260 days a year. For as much as he has done a lot of radio interviews, this was his first venture into the podcast world and I was thrilled to have him. The interview (as well as this article) spans from Christian’s personal story of overcoming adversity to developing the 4 resiliencies he defines in his book, to exactly what Why Try is and the benefits kids, families and schools find when they implement the program. It was my privilege and pleasure to talk to him. Christian was a guy who struggled since he was little with a learning disability. It left him with elementary school reading and math abilities. He was told as a teen that college was not the path for him and that he wouldn’t be able to handle the work. That’s where Christian really began to pull from his pain to engage his inner power. He had his sights set – not only on getting through 4 years of college, but even going further to graduate school for his Master’s Degree. That was all fine, albeit a struggle, until the day he was expecting to graduate from his undergraduate program. He was called into the Dean’s office and told that there was some mistake and that not only was he not going to graduate right now, but that he was never really supposed to be passed along in his classes as he was to begin with. Christian had been pulling 20-hour studying sessions for tests that others only studied 3 hours for and he did extra credit in almost every class for 4 years because he needed it in order to pass the class because he lacked the math and reading skills required to give up. In that moment in the Dean’s office, Christian knew it was sink or swim right there – he pulled from every resilient trait he had in order to immediately start explaining all that he did to get through his studies and all that he intended to do if permitted to graduate and go on for his Masters – his plan included “changing the world”. Well, by then end of his plea, the Dean allowed him to graduate and go on to his graduate studies. The full-circle experience for Christian happened when his book was then used a text at the same university's curriculum at the school where the Dean didn’t want to have him as a graduate. If that’s not an “I’ll show them story”, I don’t know what is! Christian demonstrates through his book that those moments in life when one is told by others they should give up, they in fact, should be finding ways to overcome whatever the perceived obstacle is. 1. Recognizing that you have a “switch”. 2. Flipping it. Christian describes this through an example of a person saying to themselves, “Okay, I have a crisis, a real difficulty in my life, but I’m going to use this crisis to become greater” – and viola! The switch it flipped! Also in the interview, Christian shares with me 2 of his favorite Resiliency Boosters from the book! Christian Moore founded Why Try and today Why Try is comprised of former students, counselors, teachers, mental health professionals, and corrections staff who act as youth advocates. Over the last 15 years, they have combined their experiences with research to develop tools that enable everyone in an organization to thrive – the adults, the straight-A students on the college track, the most at-risk kids from broken homes. The secret, they found, is resilience education, and through it, they’ve seen individuals and groups from a wide variety of backgrounds develop the capacity to access resilience. Music about inner strength, resilience, self-worth all tailored to specific age groups. I’ve done a lot of work over the years with kids and still have a lot of colleagues that are involved in school-based emotion-focused programs. 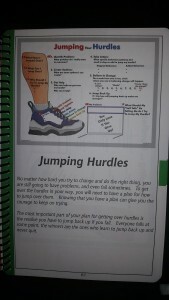 When I mentioned Why Try to them, they 1. had used the programs in some of their schools, 2. They were excited to hear I could talk to Christian personally because they had heard all about him from the trainers, and 3. 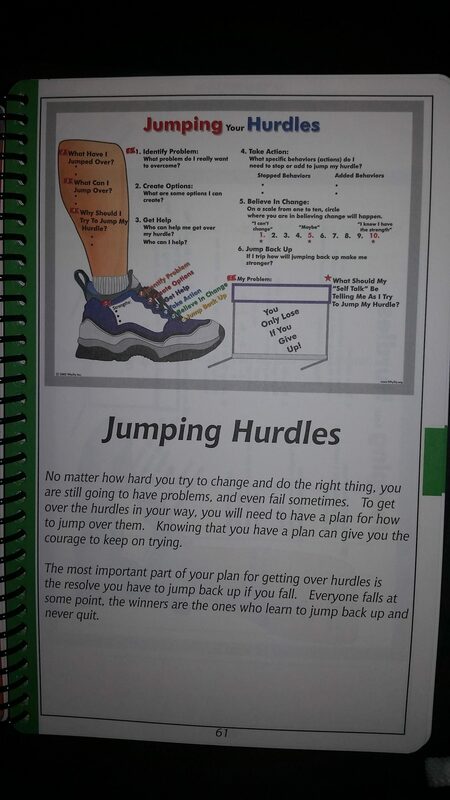 They said the Why Try trainers were some of the most professional and skilled they had come across when implementing outside programs into schools/residential programs. 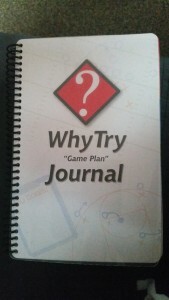 A friend of mine lent me her Why Try “Game Plan” Journal. 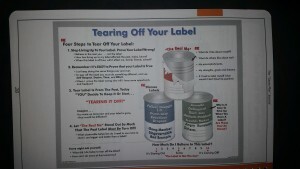 I took some pics of a few lessons/activities so you can get an idea of how they are presented. Even though I don’t do a lot of work with kids these days, I wish I had known of the Journal and Why Try when I did. 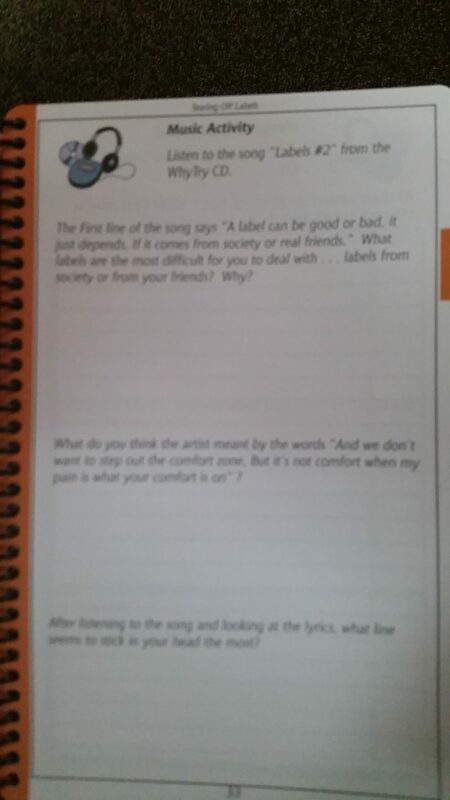 The Journal is easy to read, coordinates with their music CD and uses words and visuals kids will relate to. Christian was such a cool guest – I'm sure you’ll agree that his energy is contagious and his ideas are definitely creative. I can see how he’s come as far as he has – his resilience shines through in his personality and his passion for what he does! If you would like to check out Why Try for your community or school, you can even get a demo through their website WhyTry.org. I’m listing all of Christian and Why Try’s social media links below so you can give him a shout out and reach out to him personally. If you’ve used Why Try either as a student or a teacher, let him know how you benefited from it. I’m sure he’d love to hear from you! For the adults looking to build strength in their personal lives or their workplace, check out Christian’s book, “The Resilience Breakthrough: 27 Tools for Turning Adversity into Action”. You can even hire Christian for your corporate event to get the whole team more resilient. The Resilience Breakthrough will soon be available in an audio version – be sure to check back to whytry.org for that information.